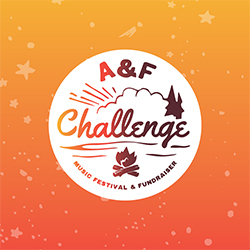 I'm raising money to send kids with serious illnesses to camp through The A&F Challenge, Abercrombie & Fitch Co.'s largest annual fundraiser. With over 4,000 attendees annually, The A&F Challenge has raised more than $10 million to date, raising over $3.5 million in 2017. This year, all proceeds benefit SeriousFun Children's Network. SeriousFun Children's Network, founded by actor & philanthropist Paul Newman, is a global community of camps for kids with serious illnesses and their families. Specially-designed facilities and programs allow every child, no matter the medical condition, to experience the magic of camp, always free of charge. Join me in support of this cause by making a donation today and buying a ticket to the celebrate at the event-featuring bands, unlimited food and drink and fun for the whole family-on Friday, Sept. 7 at the Abercrombie & Fitch Home Office in New Albany, Ohio. 2018 ABERCROMBIE & FITCH. ALL RIGHTS RESERVED. "A&F CARES" AND "A&F CHALLENGE" ARE TRADEMARKS OF ABERCROMBIE & FITCH CO.